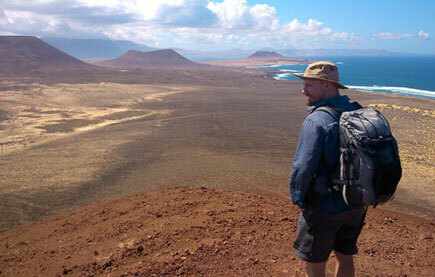 This is the longest walk of the week and takes place at the island of La Graciosa. 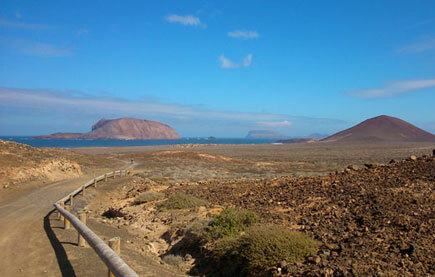 This little desert island is part of the biggest marine reserve in Europe: Archipelago Chinijo. The day begins with a short ferry cross (25min.) 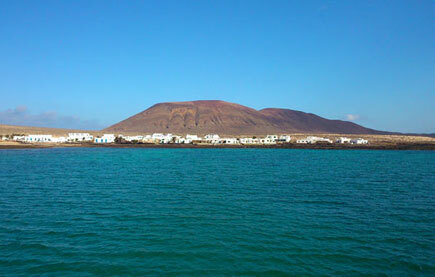 from the northern village of Lanzarote to arrive to Caleta de Sebo, one of the two villages of La Graciosa and the only one inhabitated all year round. Once we have got our legs back on steady groound we visit the village with its tipical fisherman houses and sandy streets. Then we start walking towards Las Conchas beach located on the north and declared one of the most beautiful beaches in Spain. 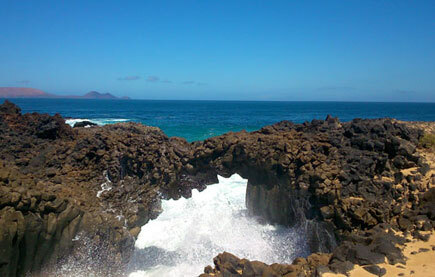 There is a chance to climb Montaña Bermeja (160 m.) to enjoy spectacular aerial views of the whole marine reserve. Shotly after we carry on walking towards the white sandy beach of La Lambra and Pedro Barba, the beautiful little kept village where if the weather allows us we might have the chance to swin on the cristal clear waters. From here we walk back to Caleta de Sebo along the hidden coast line path while we enjoying spectacular views of the Famara cliffs in Lanzarote. The Archipelago Chinijo is a birds sanctuary so we might get the chance to spot birds such the Calonectris diomedea (Cory´s Shearwater), Burhinus oedicnemus (Stone curlew), Falco peregrionoides (Barbary Falcon) or the Neophron percnopterus (Egyptian vulture). For the flora lovers they can see espinos marinos (Lycium intricatum) , ruderal (Cakile maritima), mato (Suaeda vera) or jopo de la Graciosa (Orobanche gratiosa) amongst others.